On a scale of ‘one’ (a gold coin donation) to ’100’ (the-most-money-I’ll-ever-spend-in-my-life), buying a home or investment property is, for most people, definitely hitting the tonne. And if you’re using a broker to find the loan to finance that deal, it’s not unusual to feel a little (or a lot) stressed. Because it is a big issue of trust on your part, and you will want to feel confident that the broker you’ve chosen has the skills, contacts, honesty and commitment to deliver what’s best for you… not necessarily just for him or her. 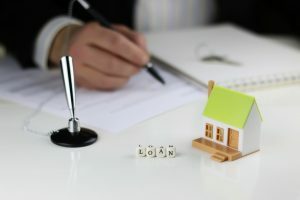 So, here are the five questions you should ask your broker to make sure you’re comfortable that you’ll get the service (and the best loan) for your needs. 1. Can I see the science? Quality brokers will have access to an extensive panel of lenders – that means they are accredited to work with the big 4 banks, building societies, credit unions and specialist lenders. Your broker should trawl through the loans offered by all of these lenders and come back to you with comparisons and recommendations. And they should be able to justify the recommendations and show you the ‘science’ behind the selection they present to you. 2. How are you paid (and how much)? You should be able to compare the rates each lender pays the broker. Transparency is important! Upfront, your broker should tell you how they’re paid and how much they get from each lender. 3. Will you take my calls? Daily updates are what you should expect from your broker during the finance process. And if you’re busy through the day with work or kids or whatever, your broker should be there for you after hours, by phone or email or text. It’s OK to ask about your broker’s background and how long they’ve been in the business. It’s also a good idea to check that a broker is accredited with the industry association, the MFAA (Mortgage and Finance Association of Australia) and the CIO (Credit and Investments Ombudsman). The CIO resolves disputes involving registered brokers and clients. And, of course, experienced brokers can foresee problems and avoid roadblocks that can slow down the path to settlement. Using a broker is a great way to not only get a great deal, but also save yourself the time and hassle. But doing a bit of homework before you choose your broker can give you the peace of mind to know you’re in good hands.